In the second quarter of 2014, the level of unemployment in South Africa rose to 25.50%. This figure sees 5.2 million of the country’s population jobless. For many of this year’s matriculants, the prospect of becoming part of this number is far more daunting than any exam they may face. At the same time the growing skills gap in South Africa is having a significantly negative impact on the competitiveness of the economy. How is it that South Africa has been unable to find a match between these two? Why are learners failing to pursue careers in areas where there is a shortage of skills and therefore employment opportunities? Many parents and learners simply refuse to look beyond traditional academic institutions for tertiary education, believing that anything less is unlikely to secure them future employment. However there are alternatives to a university education, like the public and private Technical and Vocational Education and Training (TVET) colleges and institutions of higher learning that offer accredited degrees, diplomas, certificates and short courses that are less costly and in many cases more viable to the learner. While the perception of sub-standard qualifications is in some cases justified, it is also short-sighted of parents and learners not to explore these options. Many of these institutions, like the fully accredited Institute of Logistics and Supply Chain Management (ILSCM), offer professional qualifications that feed into the fields that are experiencing skills shortages. Logistics and supply chain management is at the heart of almost every industry in the country and yet currently the industry is in dire need of skilled talent, requiring approximately 130 000 logistics managers. ILSCM offers fully accredited Degree, Diploma and Certificate qualifications that are sought after in the industry. Their fully supported, blended distance learning model allows students and practitioners to complete their studies at their own pace. Register with ILSCM before 30 November 2014 and save R1000 on your programme fees. 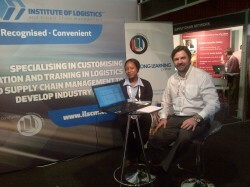 011 670 4800 / [email protected] / www.ilscm.co.za.